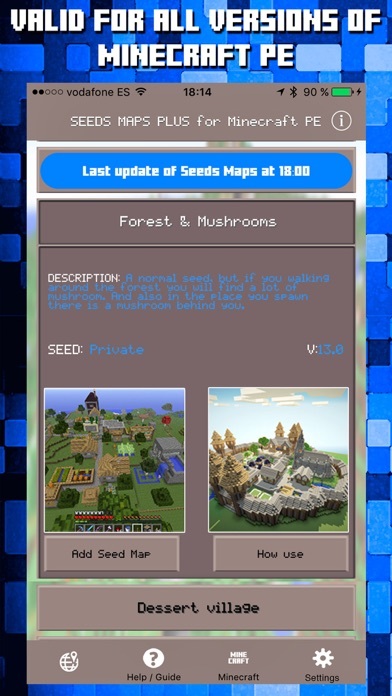 Seeds for Minecraft PE : Free Seeds Pocket Edition App Data & Review - Utilities - Apps Rankings! Seeds for Minecraft PE : Fr..
Download this fantastic app now and you will have all of the Minecraft PE seeds in the palm of your hand. It is the app with the most seeds in the entire App store. We have all of them! This is the only app that allows you to add all the seeds you want without any problems, there are no limits! 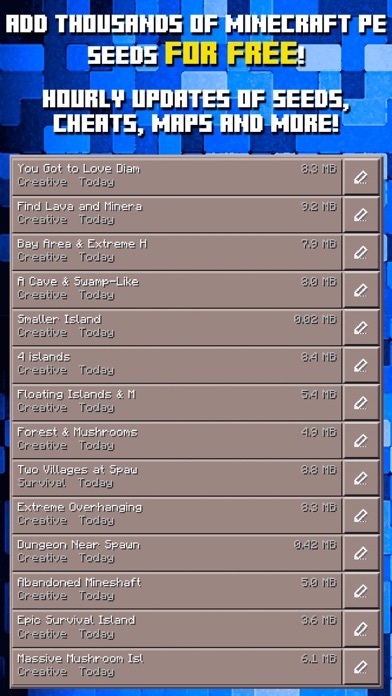 Add any Minecraft PE seed simply and easily. We update the seeds every hour and you will be able to access the most famous Multiplayer seeds in the world. 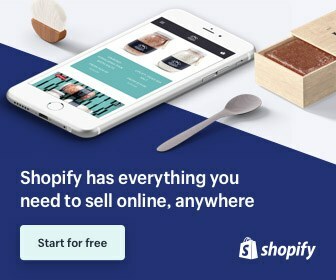 Do you have doubts about how to register on a seed? Do you know how seeds work? Do not worry, we provide you with help in order to solve all of your doubts. Warning: Unofficial product. This application is not approved nor affiliated with Mojang AB, its name, commercial brand and other aspects of the application are registered brands and the property of their respective owners. 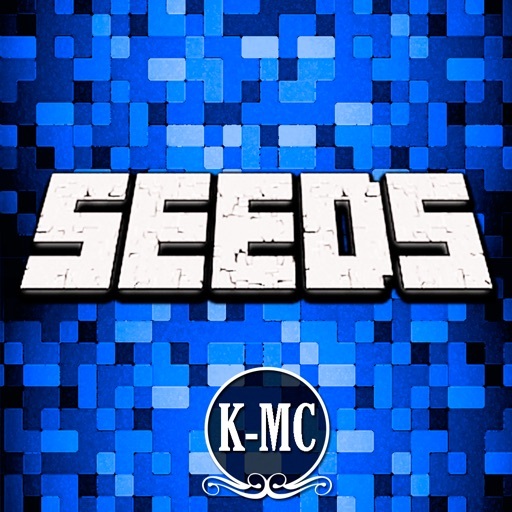 The applications Seeds for Minecraft PE : Free Seeds Pocket Edition was published in the category Utilities on 2015-12-14 and was developed by KISSAPP, S.L.. The file size is 44.54 MB. The current version is 1.18 and works well on 8.0 and high ios versions. Do you like Seeds for Minecraft PE : Free Seeds Pocket Edition applications? Please share! Not bad da best girl!! The first time I try it gives me 20 ads that are the same But the seeds are good!